Watch this video and learn how to deploy VIO in 15 minutes or less. If you’re ready to try VIO, take it for a spin with the Hands on Labs that illustrates a step-by-step walkthrough of how to deploy OpenStack in Compact Management Mode in under fifteen minutes. If you’re ready to deploy OpenStack today, download it now and get started , or dare your IT team to try our VMware Integrated OpenStack Hands-On-Lab , no installation required. You’ll be surprised what you can accomplish in 15 minutes. Install OpenStack in as little as 15 Minutes with compact mode. Compact mode is a feature of VMware Integrated OpenStack 3.0. VMware’s latest OpenStack distribution gives you the new features and enhancements included in the latest Mitaka release, an optimized management control plane architecture, and the ability to leverage existing workloads in your OpenStack cloud. Customers can now quickly leverage their existing vSphere workloads and start managing them via standard OpenStack APIs. The ability to directly import vSphere VMs into OpenStack and run critical Day 2 operations against them via OpenStack enables you to quickly move your environment to an OpenStack Framework. Building on enhancements from previous releases, this feature is focused on organizations looking to evaluate OpenStack or to build a small OpenStack cloud for branch locations quickly and cost effectively. The VMware Integrated OpenStack architecture has been optimized to support a compact architecture mode that dramatically reduces the infrastructure footprint saving resource costs and overall operational complexity. Download VMware Integrated OpenStack 3.0 – (It is 5.52 Gb in size, an OVA file). Q. How do I purchase VMware Integrated OpenStack? A. There is no license cost for VMware Integrated OpenStack, which is distributed separately from VMware vSphere®, vSphere with Operations Management™ and vCloud Suite®. However, if you would like support for VMware Integrated OpenStack, a per CPU annual fee will apply.VMware Integrated OpenStack is currently compatible with vSphere Enterprise Plus, vSphere with Operations Management Enterprise Plus, and all editions of vCloud Suite. A. You can purchase support for VMware Integrated OpenStack on a per CPU basis. Q. Is support required if I deploy VMware Integrated OpenStack? A. No, support is not required. You can use VMware Integrated OpenStack without paying for support. If you decide you want support, you can then purchase support on a per CPU basis. Q. Why is VMware Integrated OpenStack only compatible with vSphere Enterprise Plus, vSphere with Operations Management Enterprise Plus, and vCloud Suite? Can I use VMware Integrated OpenStack with vSphere Standard or vSphere Advanced? A. VMware Integrated OpenStack currently requires vSphere Distributed Resource Scheduler™ (DRS) and vSphere Distributed Switch™ (VDS). Both of these features are only available in vSphere Enterprise Plus. Q. 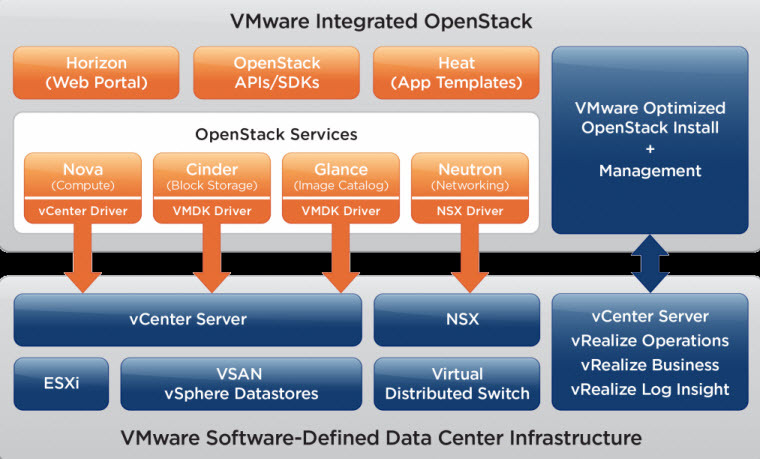 If I have vSphere Enterprise and Virtual SAN or NSX, can I use VMware Integrated OpenStack? A. Yes. While VMware Integrated OpenStack requires features only included in vSphere Enterprise Plus, you can use VMware Integrated OpenStack if you have vSphere Enterprise and VMware Virtual SAN™ and/or VMware NSX™. Q. For support, will I be charged per CPU for all CPUs in my environment, or only a portion? Q. Is there a minimum number of CPUs I must purchase in order to be eligible for VMware Integrated OpenStack support? A. The minimum support order size is 50 CPUs. You can get support for less than 50 CPUs, but still must purchase support for a minimum of 50 CPUs at a time. Q. What if I want to purchase support for 51 CPUs? A. Order sizes do not need to be in increments of 50. You can place an order for any quantity of CPUs that is greater than or equal to 50. Q. What level of support is provided with VMware Integrated OpenStack? A. VMware Integrated OpenStack support includes Production level support (Global, 24×7 support). For more information on Production Support, refer to http://www.vmware.com/support.html. Q. Is Professional Services included with VMware Integrated OpenStack support? A. No, Professional Services is priced separately. VMware Integrated OpenStack Support is priced per CPU and includes ongoing general support only. 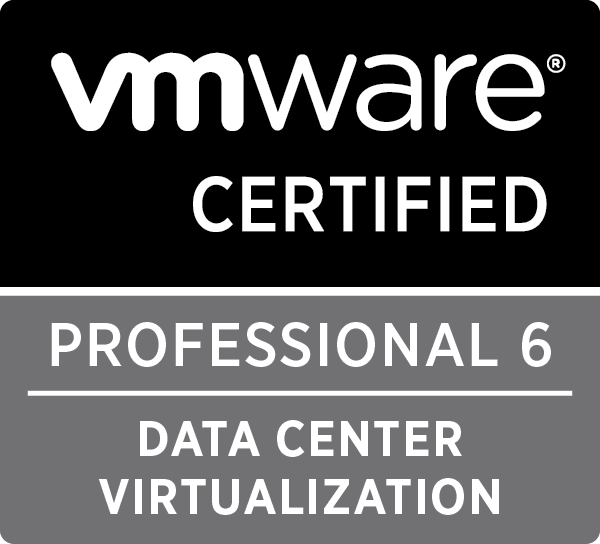 For more information on Professional Services, refer to http://www.vmware.com/professional-services.html. Download VMware Integrated Openstack 3.0 Packaging and Pricing FAQ. In this video we describe how OpenStack Compute (Nova) interacts the VMware vSphere product family and enables access to advanced features such as vMotion, High Availability, and Dynamic Resource Scheduling (DRS). Because individual ESX hosts are not exposed to the Nova scheduler, Nova schedules to the granularity of clusters. 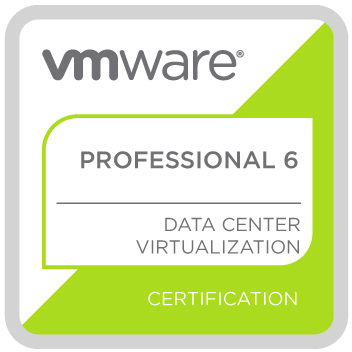 When a virtual machine makes its way into a vCenter cluster, it can use all vSphere features. This brings tremendous operational efficiency to an OpenStack-based Cloud without compromising the technical investment already committed to managing and troubleshooting a VMware environment. In this video we provide a short description and demonstration of VMware Integrated OpenStack and the integration between vCenter an vRealize Operations. EMC TV talks with the Integrated OpenStack (VIO) team with a demo at the VMware booth at EMC World 2015. For those of you not familiar, VMware Integrated OpenStack 2.5 enables IT administrators to deploy and manage a production grade OpenStack quickly and easily on top of their VMware infrastructure. For more information, check out http://vmware.com/go/openstack. Put another way, is a vSphere Web Client Based Deployment. VMware Integrated OpenStack 2.5 is a virtual appliance, which is available for download, that is deployed using the vSphere Web Client. The vSphere Web Client then deploys all the VMs and components needed to create a highly available, production grade OpenStack infrastructure in a few simple steps. This video demonstrates how IT administrators can perform routine OpenStack management operations, such as adding compute and storage capacity, from within the VMware vSphere Web Client. This video demonstrates how IT administrators can create users and projects for allocating resources to one or more users.